Falvey Memorial Library :: What Does Your Mother Read? What Does Your Mother Read? After reading Dr. Spock, Dr. Sears, Dr. Phil or Dr. Seuss, what does your mother read for herself? Does she peruse People, Woman’s World or Woman’s Health? Or does she prefer Erma Bombeck, Janet Evanovich or Anna Quindlen? Falvey Memorial Library staff members offer their responses below. How about you? What does (or did) your mother read? 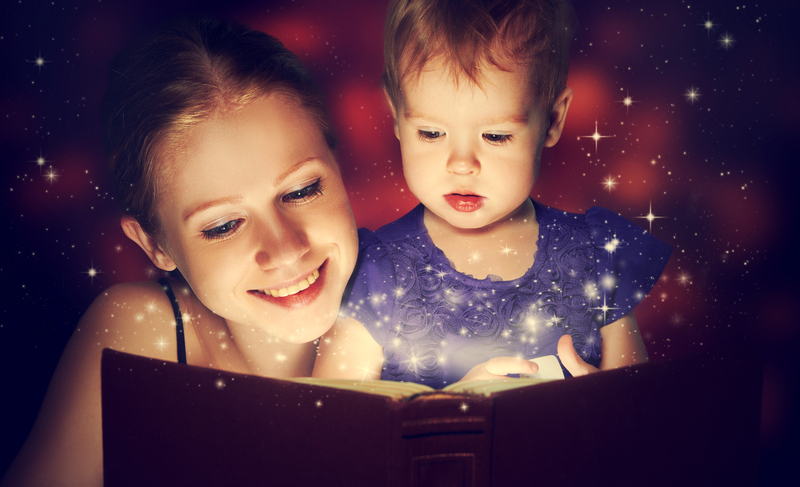 Please contribute your mother’s favorite titles/authors in our comments section! My mother was a big Agatha Christie fan. She read most of her books multiple times. Darren G. Poley, Interim Director: My mother was and is an avid perpetual reader. One of her favorite novels when I was a kid, Richard Adams’ Watership Down. Because of my interest in fantasy and sci fi, she encouraged me to read C. S. Lewis’ Chronicles of Narnia and the Perelandra series. Rob LeBlanc, First Year Experience & Humanities Librarian: My mom read Frank Herbert’s Dune series again and again, got me to read it, and doomed me to being a life-long sci-fi fan. Sarah Wingo, Subject Librarian for English Literature and Theatre: My mom read so many books to my sister and me while we were growing up I couldn’t even begin to count them. We read every night before bed, and she absolutely instilled a love of reading in me. Something I always looked forward to was going to the library to pick out new books or, as a special treat, going to Borders where my sister and I each got to pick out two books to buy. I also have vivid memories of us lying in bed, my mom reading to us, and a huge dictionary on the bedside table. If we didn’t know a word, she had us look it up. Reading drastically impacted the size of my vocabulary. I don’t know what I’d say my mother’s favorite book would be, but since I’ve been an adult I’ve recommended a lot of books to her that I’ve read and enjoyed, and she in turn seems to enjoy them. In the last few years she has read and really enjoyed The Blind Assassin by Margaret Atwood, The Book Thief by Markus Zusak, After You’d Gone by Maggie O’Farrell, and Middlesex by Jeffrey Eugenides just to name a few. 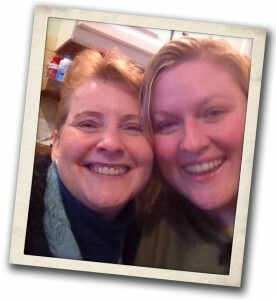 Regina Duffy, Events Coordinator: My mom loves Louisa May Alcott’s Little Women. Laura L. Hutelmyer, Electronic Resource & Special Acquisitions Coordinator: Towards the end of her life my mother attempted to read A Tree Grows in Brooklyn by Betty Smith. She got about ½ way through, but because her medication caused her to forget what she’d read, she had to start over. On her second attempt, she got about 2/3 of the way through before passing on. I have that paperback copy in a box, bloated and coffee stained, with the book mark still in place. One day I’ll read it for her. Luisa Cywinski, Team Leader, Access Services: One of my mom’s favorites is Le Petit Prince. She also loves poetry (French and English). 2001, A Space Odyssey by Arthur C. Clarke remains one of my favorite novels. I love how he interweaves science and the evolution of mankind into a series of possibilities. The line “But he would think of something” surfaces twice in the story and has stuck with me as a mantra regarding how to proceed in life. Boy’s Life by Robert R. McCammon is my other favorite. This was the most amazing blend of story lines. He captures that magical feeling of childhood and then transports you into an adult world full of all the not so magical things that can be encountered when you leave that childhood sanctuary. My mom is awesome. Her name is Tammie Subik. Although you did not ask for it, I also included a very recent selfie of the two of us. She really did encourage my love of reading and books! Robin Bowles, Subject Librarian for Biology: Among many other things, my mother was a private pilot for many years. Her favorite book in those years was West With The Night. Alice Bampton, Visual Resources Librarian: My mother loved historical fiction. Because we lived outside the city limits we could not use the public library so my maternal grandfather often borrowed books for Mom. She loved “Gone with the Wind,” reading it several times. She and her mother also saw the movie when it was first released in 1939. My parents instilled a love of reading in my sister and me; books were always an important part of our Christmas gifts. Bill Greene, Document Delivery & Distance Learning Delivery: Attention Earthlings: at age 5 or so I was very interested in reading about wild animals. At 7 or 8, I was infected by the dinosaur bug. At age 12 I became interested in science fiction through the master, Ray Bradbury. Whenever the occasion required a gift, my mother would get me a book on these subjects. At Christmas there were many books! She is the reason, in large part, for the way I turned out. What a great mother! Thanks to all library staff who contributed to this article! We’ll be featuring Dads’ favorites next month, so if you’d like to participate, send your book title/memory by June 11 to joanne.quinn@villanova.edu.